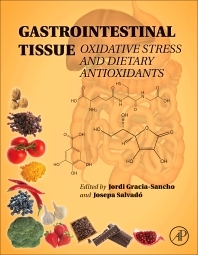 Gastrointestinal Tissue: Oxidative Stress and Dietary Antioxidants brings together leading experts from world renowned institutions, combining the basic mechanisms of gastrointestinal diseases with information regarding new and alternative treatments. The processes within the science of oxidative stress are described in concert with other processes, including apoptosis, cell signaling and receptor mediated responses, further recognizing that diseases are often multifactorial with oxidative stress as a component. By combining the critical molecular processes underlying free radical mediated pathologies and the role of dietary antioxidant molecules, a connection is made that helps advance therapies and the prevention of gastrointestinal pathological processes. This important reference is well designed with two complementary sections. Section One, Oxidative Stress and Gastroenterology, covers the basic processes of oxidative stress from molecular biology to whole organs, the gastrointestinal anatomy and sources of oxidative stress and free radicals and their products in gastrointestinal diseases. Section Two, Antioxidants and Gastroenterology covers antioxidants in foods, including plants and components. 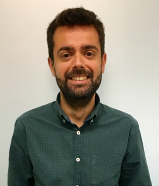 Dr. Gracia-Sancho is member of the IDIBAPS Biomedical Research Institute (Ramón y Cajal Researcher and Lab Leader) and the Rovira i Virgili University (Associate Professor of Biochemistry and Molecular Biology). He graduated in Biochemistry in 2003, obtained the PhD with Honors at the University of Barcelona in 2007, and developed postdoctoral studies at Harvard Medical School and Brigham and Women’s Hospital (Boston, MA). In 2012 he obtained his current position at IDIBAPS. 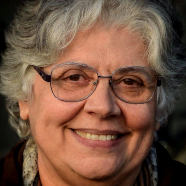 Prof Gracia-Sancho is expert in the pathophysiology of liver vascular diseases and in the development of new therapeutic options, including antioxidants, to prevent and ameliorate these disorders. He has published more than 40 peer-reviewed manuscripts in top-rated Journals including Gastroenterology, Hepatology, Gut and Journal of Hepatology, and has stable collaborations with groups from Spain, USA, Germany, Italy and Australia. Prof Gracia-Sancho is member of the Spanish Association for the Study of the Liver (in which he is member of the Scientific Committee), the European Association for the Study of the Liver, the American Association for the Study of Liver Diseases, and the International Society for Hepatic Sinusoidal Research. Professor Salvadó is currently a Professor in the Department of Biochemistry and Biotechnology, Rovira i Virgili University (Tarragona, Spain). She directs studies regarding Food Bioactive Ingredients and Oxidative Metabolism. Professor Salvadó graduated in 1978 from the University of Barcelona with a Degree in Chemistry Sciences. She gained her PhD in 1988, in the field of Amino acid Metabolism and Development, from the University of Barcelona. She performed post-doctorate studies at Centre de Recherches sur la Nutrition from the CNRS (Meudon-Bellevue, France) in 1989 and in Academisch Medisch Centrum from the Amsterdam University (The Netherlands) in 1992. She has performed a stage in the Centre of Technology of Food and Health (Reus, Spain) between 2013 and 2014. Between 1988 until 1994 she was associated professor at the University of Barcelona and at the Rovira i Virgili University. Since1994 she is Full Professor on Biochemistry and Molecular Biology. She is member of the Spanish Biochemistry and Molecular Society. Professor Salvadó has published over 80 peer-reviewed manuscripts based on original research and over 7 reviews.